The Tata Steel tournament is more than halfway through, and currently Anand and Nakamura share first place in the A group with 5.5/8. One of Anand’s wins earlier in the event caught my eye, and I thought I’d show a couple connections I made in m head when I saw that game. 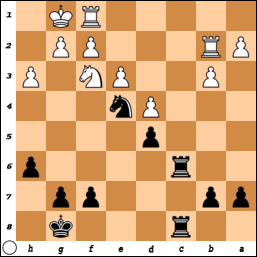 In the above position (from a 4.f3 Nimzo), Anand uncorked 16.Nd4! !, sacrificing a knight for a powerful phalanx of central pawns. 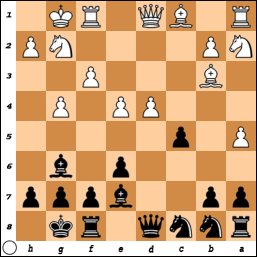 After 16…exd4 17.cxd4 Nbc6 18.Qc3, Wang Hao tried to stop the march of the pawns with 18…Ne7. After 19.Rfd1, Black played 19…Rad8. The main point behind 19.Rfd1, as Anand said himself, was to draw a rook to d8, thereby taking that square away from the queen. With d8 occupied, the transfer of the bishop to g3 becomes that much more powerful, and so 20.Bf2 not only reintroduces d5 as a threat (because after Black takes, White will still have the advantage of the two bishops), but threatens Bg3 to hit the queen that defends the Na5. White is already much better and Anand went on to win in smooth fashion. The 2011 Berkeley International was wrapped up yesterday morning, and GM Loek Van Wely took clear first with 8.0/10. Arun Sharma did a great job in organizing the event, putting together a bigger, stronger, and better-designed event than the ones I was involved with in 2005, 2006 (only marginally), and 2008. The tournament was also notable for the large number of norms that were achieved. Two Bay Area talents made what appear to be their final norms: IM Sam Shankland made his 3rd GM norm and FM Daniel Naroditsky made his 3rd IM norm. Congrats to them, and to the other norm winners. 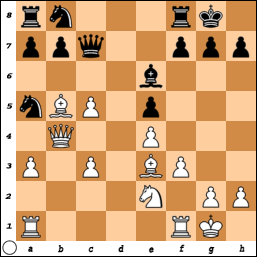 At first glance, this may not seem like much of an opening success for Black, but White is also somewhat overextended and uncoordinated. 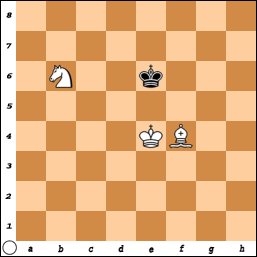 The game continued 17.d5 Qxa5 18.dxe6 Nc6. Technically, this last move will enter the database as a novelty (I think, I haven’t updated my databases since August, so maybe it’s been played in the interim), but actually, I beat Van Wely with this move at the US Championship blitz tournament back in May. And to roll things back even further, it’s not even my novelty, having been published by FM James Vigus during the summer of 2008!